Nortran Certification & Design Ltd was estabilshed in 2006 in Kerikeri to fill an industry requirement for a quality engineering support service in the far north. Our principal engineer has over 15 years design experience in the vehicle and transport industry including 3 years working for the legislative body guiding vehicle certification in New Zealand. That experience has included the testing of vehicle components such as seatbelt anchorages and composite structures. We are approved for all certifcation categories required for all your heavy transport needs. We can offer a range of standard designs to meet your requirements or we can design a custom solution just for you. 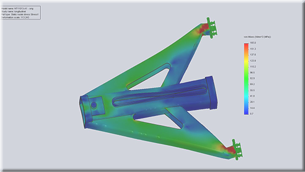 As well as transport based engineering, we offer other mechanical engineering design services as well.